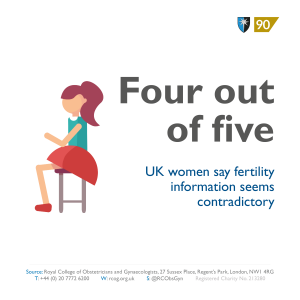 Four out of five (86%) UK women say information from different sources seems contradictory, while more than three quarters (76%) are not sure if fertility information is impartial and unbiased. 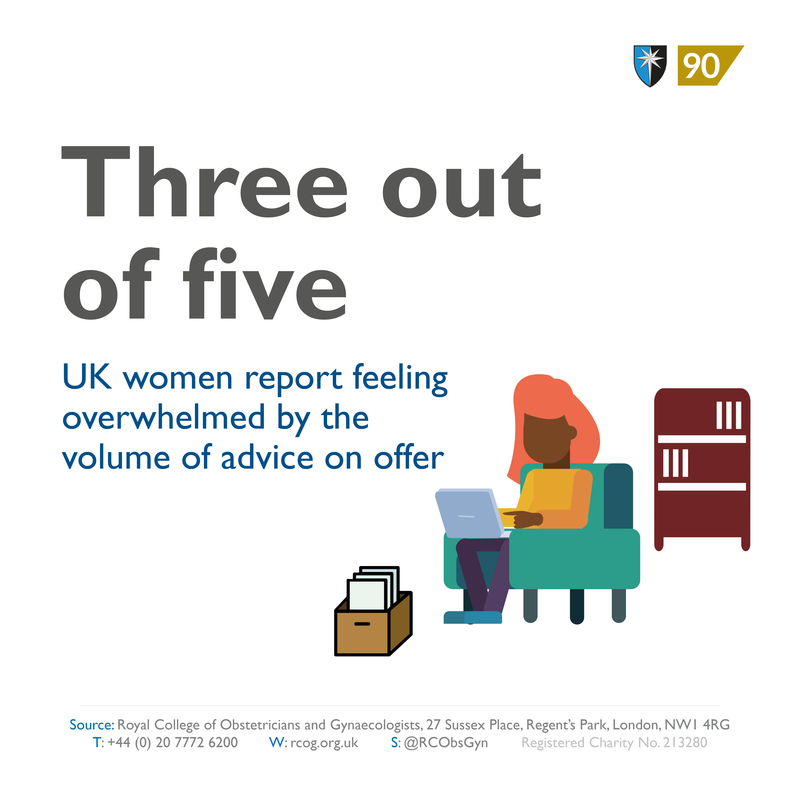 Three out of five UK women (62%) report feeling overwhelmed by the sheer volume of advice on offer. Almost half of UK women report they have worried about their own fertility (49%), with a quarter (25%) of 18-24 year-olds currently concerned. 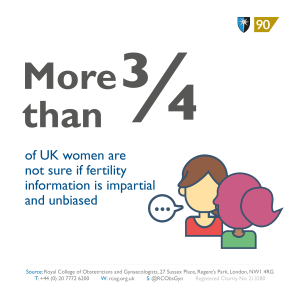 To address these concerns, the first ever Fertility Forum information day took place at the RCOG at the end of March, bringing together experts, professionals and the public. 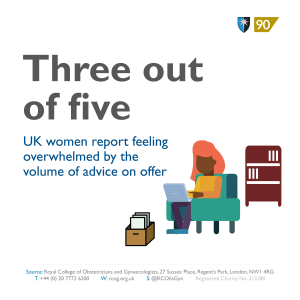 The RCOG believes that women need to feel confident that they can trust the quality and effectiveness of the advice they are receiving at this often challenging stage of their lives. More than a quarter of women (28%) would consider fertility coaching. 18% of women would consider seeking treatment abroad. The research was conducted by Censuswide, with 1,002 UK women aged 18-65 who have not yet started the menopause. The survey was carried out from 20 February to 25 February 2019. 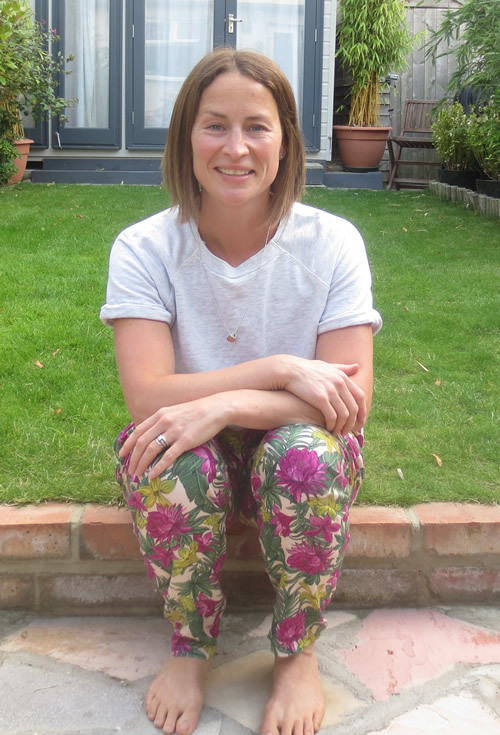 The Royal College of Obstetricians and Gynaecologists is a medical charity that champions the provision of high quality women’s healthcare in the UK and beyond. It is dedicated to encouraging the study and advancing the science and practice of obstetrics and gynaecology. It does this through postgraduate medical education and training and the publication of clinical guidelines and reports on aspects of the specialty and service provision. They have a dedicated section on fertility, on their website. 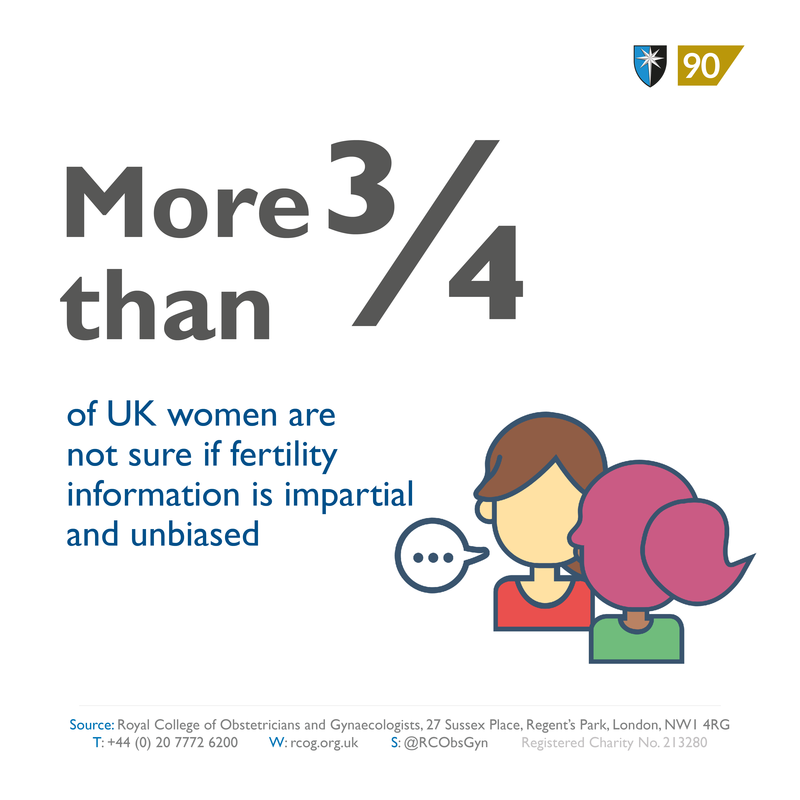 HFEA is the UK’s independent regulator of fertility treatment and research using human embryos. Set up in 1990 through the Human Fertilisation and Embryology Act, the HFEA is responsible for licensing, monitoring and inspecting fertility clinics to ensure patients and everyone born through fertility treatment receives high quality care. The HFEA is an ‘arm’s length body’ of the Department of Health, working independently on behalf of the Government providing free, clear and impartial information about fertility treatment, clinics and egg, sperm and embryo donation.